Andersonville is remembered for several reasons, among them, the total of 12,912 Union prisoners and 250 Confederate guards who died there between February, 1864 and April, 1865. No other American POW camp received as much publicity as Andersonville, with the U.S. Department of War even circulating photographs of emaciated prisoners, which were reprinted in history texts. 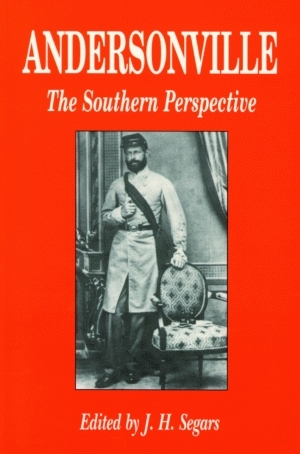 While there has been much written about Andersonville, this book presents seldom-seen documentation from Confederates familiar with the camp, as well as discussions by contemporary historians. This book is an effort to clarify the troubling questions that remain about the camp: How could this tragedy have happened? And who was to blame? J.H. “Hank” Segars, a native of Eatonton, Georgia, is managing editor of Southern Lion Books, an independent publisher of regional books, and a consultant to first-time authors. Segars earned an AB from West Georgia College and an M.Ed. from the University of Georgia. He is the author and editor of a number of books about the American South, including Andersonville: The Southern Perspective and Black Confederates, both published by Pelican. Segars in the founding president of the Northeast Georgia Civil War Round Table and now lives near rural Madison, Georgia, with his wife.